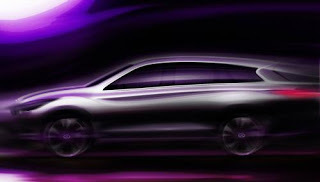 Infiniti has announced an all-new three-row luxury crossover designated the Infiniti JX that will go on sale at its retailers in spring 2012 as a 2013 model. An exterior sketch of the Infiniti JX suggests a vehicle that pushes the boundaries of what a luxury crossover can be – with signature styling cues of the brand, such as dynamic and elegant line treatments inspired by nature. The brand styling theme continues with a “crescent cut” greenhouse design influenced by the Infiniti Essence concept car. 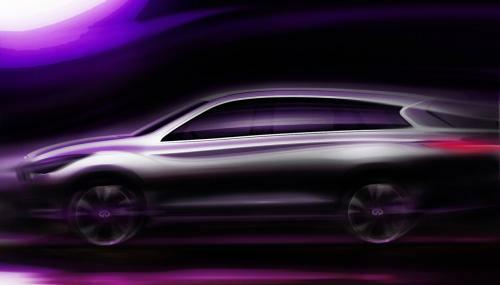 More details will be provided when the Infiniti JX concept is shown at the Pebble Beach Concours d’ Elegance this August. The production version will make its global debut at the 2011 Los Angeles Auto Show in November. for more information contact a sales representative at Red Noland. If you are a fan of the CTS in a manual transmission, your time is running out. For 2012 the manual gearbox option will no longer be available for the 3.0L and the 3.6L. The manual will still be available in the V Series including the V Wagon! At Red Noland we saw very few of the manual transmission CTS’s. The very few that we did see were on the V series. The automatic is definitely the customer choice here. Remember when the V Sedan set that blistering lap at the Nurburgring, it was with the automatic transmission. GM said that since it’s simply not cost effective to build cars that customers don’t want to buy. For more information contact one of our sales reps at Red Noland Cadillac.